Like most Microsoft products, sometimes the licensing can be more difficult to figure out than the technical aspects of the product, and SQL Server is no different. Each SQL Server edition has a different licensing model and some have more than one. There are multiple different license types. And if that’s not enough there are considerations for AlwaysOn Availability Groups, virtualized SQL Server instance and even which Windows Server edition you’re running on. While the entire ins and outs of licensing would take a small book to cover here are some of the most important things you need to know about SQL Server 2014 licensing. AlwaysOn Availability Groups and AlwaysOn Failover Clustering Instances are SQL Server 2014’s primary availability technologies. Both of these technologies enable you to have passive servers that are only used in the event of a failover. These are called passive SQL Server instances – essentially SQL Server instances that are not serving data to clients or running active workloads. Passive fail-over rights allow you to have a passive instances of SQL Server without requiring the passive server to have a license for SQL Server. 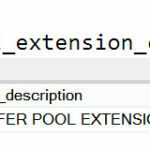 With SQL Server 2012 the ability to have a passive server was included with the base SQL Server license. When a failover happens the passive server becomes active and must be licensed. Then you can reassign the license from the former active server to the new active server. However, this scenario had licensing restrictions. Without SA SQL Server license reassignment cannot take place more frequently than 90 days. Therefore to comply with licensing without SA you needed to run on the failover server for at least 90 days. With SA you had mobility rights to reassign the license as frequently as you needed. 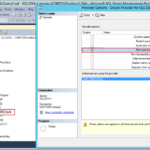 With SQL Server 2014 passive fail-over rights are no longer part of the SQL Server license. They require SA on your passive servers and there is no time restrictions for license reassignment. The key point with passive SQL Server instances is that the SQL Server instance must not be running a workload. So how does this work if you’re using AlwaysOn Availability Groups and you’re taking advantage of readable secondaries for backups or queries? In that case, the SQL Server instance on the readable secondary is running a workload and it needs the appropriate SQL Server license – it is not considered a passive SQL Server instance. For more details on SQL Server 2014 licensing you can refer to Microsoft Volume Licensing and SQL Server 2014 Licensing Guide.